GPE formed a 50/50 joint venture, the GHS Limited Partnership, with the Hong Kong Monetary Authority to own and develop the Hanover Square Estate in the heart of London's West End. Mace is lined up for the main building works with subsidiary Como carrying out fit-out works for the Mayfair project. 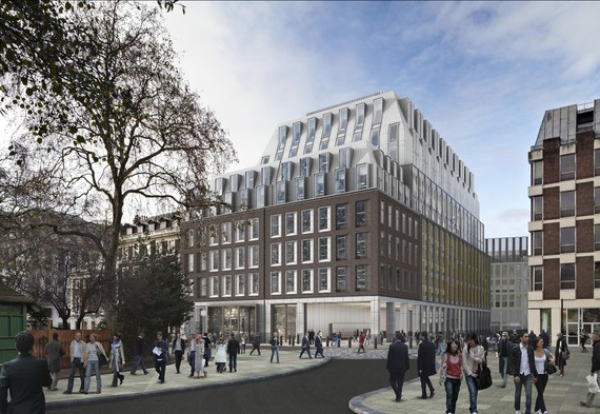 Enabling works have been underway on the 1.3 acre, mixed-use scheme, which includes a nine storey building incorporating the eastern entrance to the Elizabeth Line’s Bond Street station, to be known as 18/19 Hanover Square. This will include 130,000 sq ft of offices and ground floor retail. GPE will purchase this element of the site from Transport for London, on a new 150 year lease, upon completion of the new ticket hall structure now expected in June. The development site, assembled in five separate deals with previous owners, also includes a separate building on New Bond Street containing 31,300 sq ft of retail and 33,300 sq ft of offices. GPE will also build six luxury flats at the junction of New Bond Street and Brook Street and restaurant and offices in the Grade II listed 20 Hanover Square. 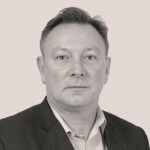 Toby Courtauld, GPE Chief Executive said: “This is a very exciting milestone for us. Since completing the site assembly in 2008, we have worked closely with Crossrail and Westminster to masterplan the site around the proposed station to create a world-class scheme, on a premier garden square, in the heart of Mayfair.